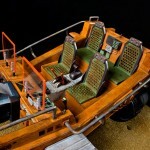 Quantummechanix has revealed their latest addition to their growing line of Serenity items. The newest addition to their expanding line is of the MF-813 Flying Mule. 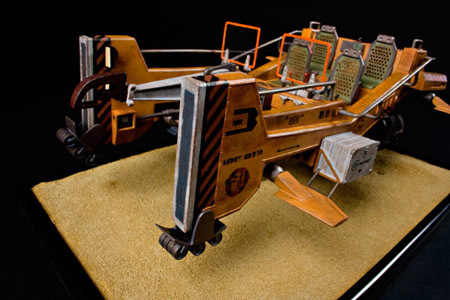 QMx has produced the first ever exact studio-scale replica of the Flying Mule as seen in the movie Serenity. 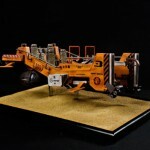 Measuring 14.5″ x 10.75″ x 4.5″, the Mule is a highly-detailed model, hand-painted to match the movie vehicle exactly – right down to the emblems and decals. 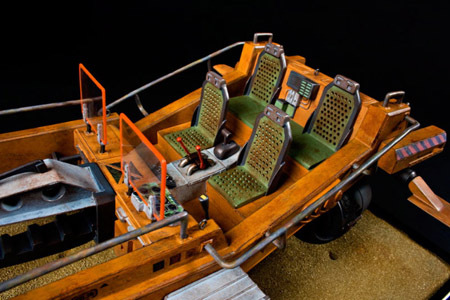 Using the blueprints and AutoCAD files used to create the screen-used vehicle, plus extensive photographic reference, the MF-813 Flying Mule replica is the last word in accuracy. 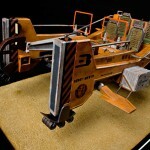 Included with the Mule is a cast resin diorama measuring 15.5″ x 10.75″ x 1″. 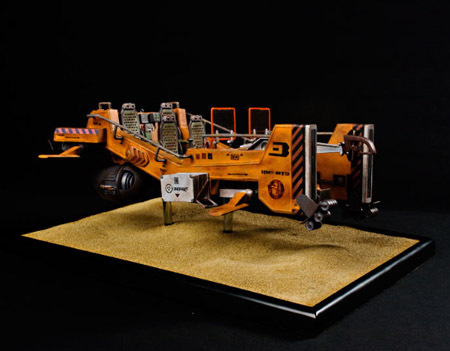 This hand-painted base simulates the sandy surface of a Border moon perfectly. 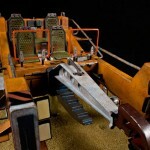 The QMx Mule can be displayed in one of two modes: CGI mode, where two heavy-duty acrylic posts are used to simulate the hover effect. And Backstage mode, using the included dolly replica to set your Mule on between shots. 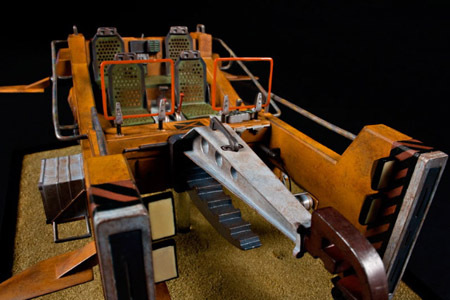 Offered in an edition of 1,000 replicas, the Flying Mule is QMx’s first manufactured studio-scale replica, enabling us to offer this precise, highly-detailed replica for just $349.95. You can check out some photos by clicking the headline of the story.